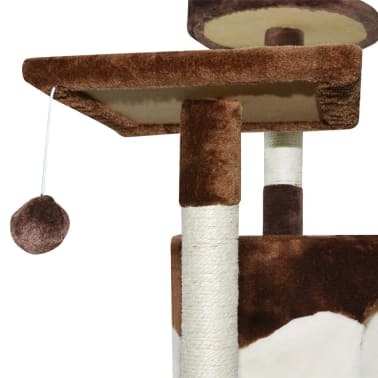 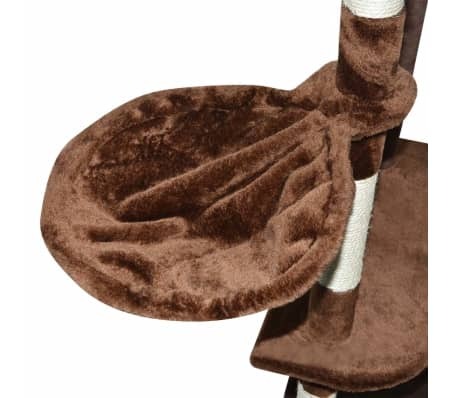 The plush, carpeted surface is highly comfortable, and the scratch poles are wrapped in sisal rope. 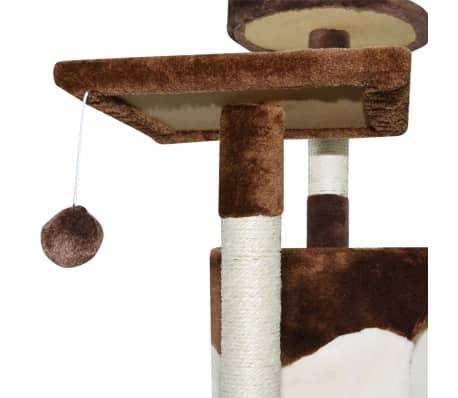 It has 2 houses in which your cat can hide and relax. 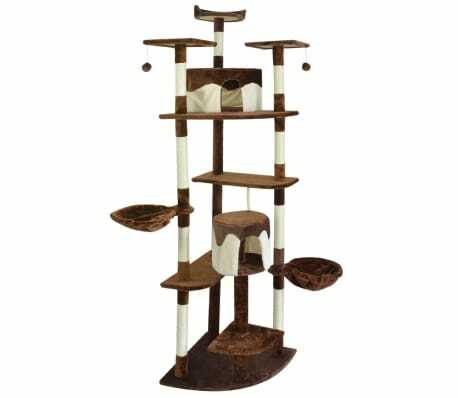 It also has viewing platforms, 2 baskets and 2 hanging ball toys to keep your little friend entertained. 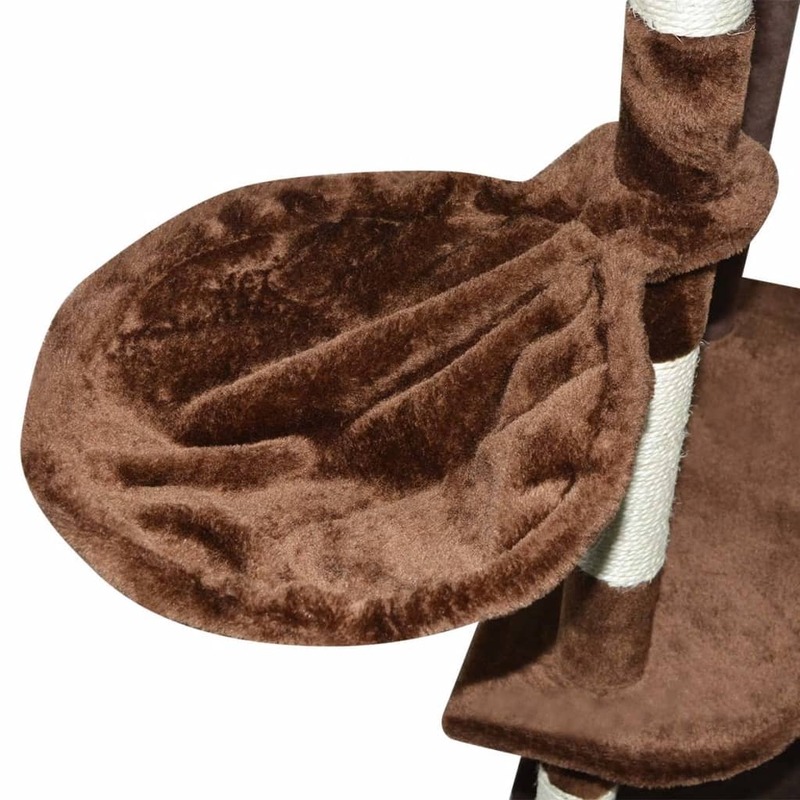 The base is sturdy and stable. It is suitable for multiple cats.